T2 – DOWNTOWN RICHMOND HISTORIC WATERFRONT WALKING TOUR (1:00-4:30) This three-hour, 3.5-mile walking tour will feature downtown Richmond’s waterfront at the falls of the James River, historically the reason for the City’s existence and its vibrant industrial and transportation history. Sites along the tour include canals, railroads, dams, bridges and factories dating from the 19th and early 20th-centuries. The tour will cover both banks of the James River, beginning and ending at the Omni Richmond Hotel. Please wear comfortable walking shoes. Participants need to be physically capable of walking 3.5 miles in warm Richmond weather. Restrooms are available only at Brown’s Island/Historic Tredegar (Mile 2.0). T3 – TREASURES FROM THE COLLECTIONS OF THE LIBRARY OF VIRGINIA (2:00-4:00—800 East Broad Street, Richmond; Meet in the lobby of the Omni Hotel at 1:45 p.m. for a half-mile walk to the library) Explore the library’s holdings on industry, technology, transportation, and engineering and view rare examples selected by expert curators. Signature collections include the Virginia Board of Public Works Collection (1816-1912); transportation records, including the archives of the Richmond, Fredericksburg, and Potomac Railroad (1834-1997); and the Tredegar Iron Works records (1801-1957), documenting the largest ironworks in the Antebellum South. The Library’s strong map, broadside, visual, and state records collections further deepen our understanding of industrial and commercial development in the Commonwealth. 6:00-8:00 PM – OPENING RECEPTION – Hors d’oeuvres, cash bar, and an orientation to the history of Richmond. Our featured speaker will be the Library of Virginia’s Gregg Kimball, author of American City, Southern Place: A Cultural History of Antebellum Richmond (University of Georgia Press, 2000). F1 – MACHINE AND FOUNDRY WORK IN RICHMOND (8:00-5:00) Virginia has a long tradition of metal processing industries going back to the early Colonial period. This tour will visit two surviving Richmond metal working facilities. Founded in 1912, O. K. Foundry supplied made-to-order cast iron to Richmond’s railroad, industrial and agricultural equipment companies. It maintains traditional pattern-making capabilities and foundry pattern tradecraft as well as advanced techniques such as 3D CAD and digital fabrication. Strickland Machine Company was founded in 1901 by principals of the Whitlock Tobacco Company to build and repair tobacco machinery. One of the oldest precision machine and fabrication facilities in Central Virginia, Strickland has been instrumental to the railroad, defense, and tobacco industries. The next tour stop is Philip Morris USA, a 170-year-old company whose production headquarters have been in Richmond since 1929. The tour concludes at the 1837 Tredegar Iron Works, which was the primary supplier of cannons for the Confederacy during the Civil War, and served a prominent role in the growth of railroads throughout its 120-year existence. The tour will explore Tredegar’s history and its surviving artifacts and structures. F2 – PETERSBURG AND SOUTH TOUR (7:30-5:30) This tour explores IA south of Richmond starting at Philip Morris USA, a 170 year-old company whose tobacco production headquarters have been in Richmond since 1929. We’ll continue to historic Peters- burg, an antebellum industrial center which before the Civil War had the largest concentration of railroads of any city in the country. The port city also had a thriving flour mill industry, whole leaf tobacco and luggage factories, and the largest concentration of freed blacks in the south. We’ll tour Appomattox Iron Works, which operated from 1876 to 1972 within a complex of buildings dating to 1810-1835. We’ll observe remnants of industry along the Appomattox River, the monumental ca. 1910 concrete Sea- board Railway viaduct arches, and the 1961 Aluminum Bridge. We’ll also visit IA along the 1816-1890 Upper Appomattox Canal, the Petersburg Gas Works, and the freedmen community of Pocahontas Island. We’ll toast our hosts, the Petersburg Preservation Task Force, at Trapezium Brewery, which occupies a former ice house. We’ll also visit the 1823 twin arch Falling Creek Bridge, and explore the archeological remains of the eighteenth-century Falling Creek Ironworks. F3 – VIRGINIA MARITIME AND PENINSULA TOUR (8:00-5:00) This tour will travel east of Richmond to Fort Monroe in Hampton, the largest of the multi-tiered “Third System” of coastal fortifications built by the U.S. Army prior to the Civil War. Next, the tour will continue to the USS Monitor Center at the Mariner’s Museum & Park in nearby Newport News, home to several recovered components and artifacts of the USS Monitor. The tour will focus on the state-of-the art curation facility where attendees will see firsthand conservation efforts to roll back more than a century of corrosion. After driving along the hand-broomed exposed aggregate pavement and brick-faced bridges of Colonial Parkway (built 1931-1957), the tour will conclude at Jamestown, the site of the first permanent English settlement in North America. Our visit will focus on excavations within and around the original 1607-built fort, with emphasis on small craft industries that were necessary to the success of the fragile colony, such as a recently-discovered brewery site near the original fort. All three sites will require moderate walking in indoor and outdoor settings. SB – SATURDAY SOUTHERN STYLE DINNER (6:30-9:30) Southern fried chicken, fried green tomatoes, and beer at Stone Brewing with catering by Mean Bird. Price includes shuttle bus ride, catered dinner with vegetarian options, and open taps of Stone Brewing’s diverse selection of craft beers and kombucha. Note that Stone is a 1.5-mile/30-minute walk along the riverfront and Tobacco Row for those who are inclined to visit additional sites. Please note that since the Richmond Railroad Museum tour begins at 1 p.m., it is possible to attend the Tredegar Iron Works tour in the morning, and then visit the Railroad Museum. S1 – TREDEGAR IRON WORKS (Open 9:00-5:00; meet outside the NPS/Historic Tredegar building by 9:30am for a guided tour) Founded in 1837, Tredegar Iron Works is perhaps best known as the chief armorer to the Confederacy during the Civil War, producing 1,100 cannons for the Southern war effort. However, Tredegar’s importance reaches beyond that conflict. Tredegar helped build Southern infrastructure and industry before the war, and became a railroad supplier of national prominence in the decades after. Its diverse output included everything from railroad spikes to boilers, from car wheels to naval shells during both World Wars. The tour will explore Tredegar’s history and its surviving artifacts and structures. S2 – JAMES RIVER & KANAWHA CANAL TOUR (8:30-1:00; abbreviated version of Friday tour F4) We will walk from the Omni to the Tidewater Connection Locks and then the Canal Basin, where we’ll board replica canal boats for a guided tour pointing out important sites such as the Triple Crossing and Tobacco Row. We will then travel by motor coach to Great Shiplock Park, Trigg Shipyard Lock and a walk to Chapel Island. We’ll then drive across downtown Richmond to see the preserved prism section of the James River and Kanawha Canal at Historic Tredegar. We’ll continue to Byrd Park where the Friends of the Pump House will show off the ongoing preservation of their 1883 stone Gothic Revival facility along the canal. 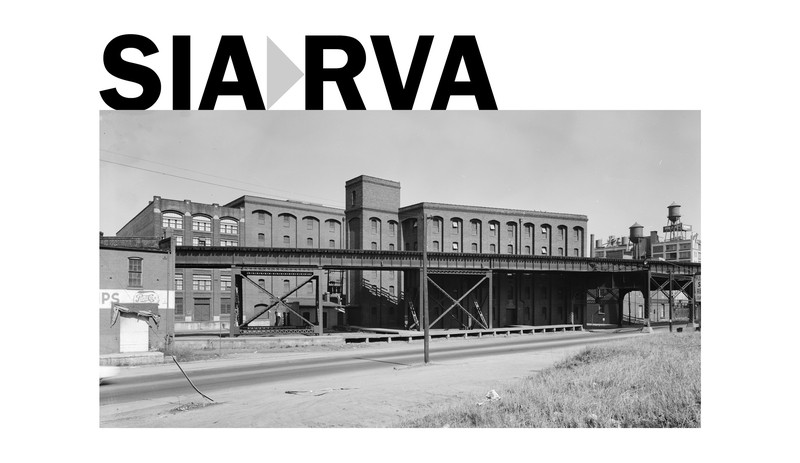 S3 – RICHMOND RAILROAD MUSEUM TOUR (1:00-4:00; Walk 0.8 miles or take the shuttle to 102 Hull Street) The Old Dominion Chapter of the National Railway Historical Society invites SIA members to its museum, which tells the story of central Virginia’s railroads since the 1830s. Housed in a 1915 Southern Railway Depot on the South Side, the museum’s collection comprises a variety of equipment, artifacts, and memorabilia, including locomotives and rolling stock that operated locally for several different railroad lines and industries, featuring a restored 1923 H.K. Porter steam locomotive.